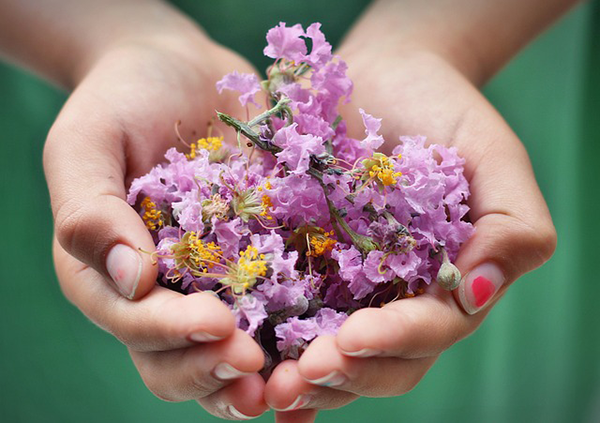 Spring is in the air, and it’s a time of rejuvenation, reawakening, rejoicing, and remembering our goal of ending childhood hunger. Over the past several months we’ve been busy at NCGH, and we’re thrilled to share with you updates on recent initiatives and provide you with access to new resources that can help you facilitate important discussions around childhood hunger in your community. We are excited to announce the availability of lesson plans (discussion sessions) for all ages! They are available at no cost and are designed for schools, churches, or any group that would like to learn more about what they can do to eliminate childhood hunger in their community. Feel free to modify them to fit your group’s needs. Thank you so much for your donations that made this happen! >>Click here to view and download our available lesson plans. How Do We Work to End Hunger? Watch the video below to learn what NCGH is doing to end childhood hunger, and how you can make a difference in your community too. Our video was created for No Child Goes Hungry by Regina Verow. Regina is an award-winning writer who in her twenty-five-year career has worked with such powerhouses as The Discovery Channel, 20th Century Fox, and The Jim Henson Company among many other clients. In addition, Regina founded her private coaching practice, Be The Hero of Your Own Story, in 2009. Using what she knows about creativity and positive psychology, Regina helps clients grow into a broader understanding of practical creativity and enact inventive, effective solutions toward sustainable change. She lives in Maryland with her family. Regina blogs about creativity at her website ReginaVerow.com and can also be found on Facebook at facebook.com/creativelyalive and on Instagram at @reginaverow. We are excited to announce the launch of our newly redesigned website. 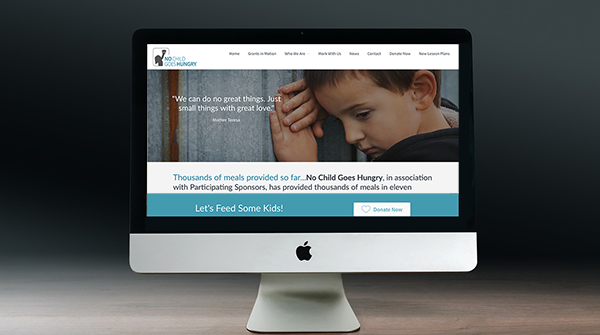 Bookmark nochildgoeshungry.net and stay informed on our progress as we identify grant opportunities, build new community-based support initiatives, and work tirelessly to feed some kids. 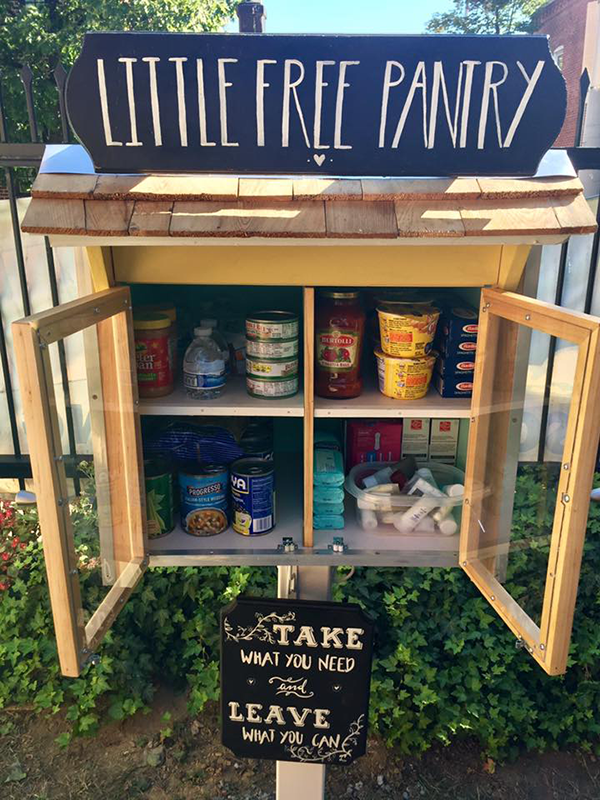 Are you familiar with Little Free Pantry? It’s like a Little Free Library, except instead of books, a public pantry is stocked with food that community members can contribute to or take from as needed. NCGH is now helping to build and support these tiny but powerful community resources. The impact we can make in our community is only limited by the size of our network. 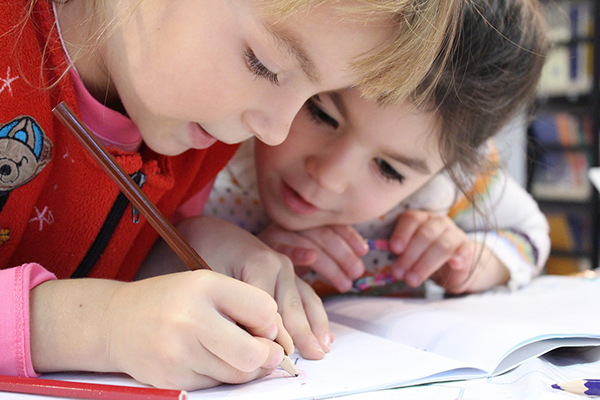 We’re always working to make new connections and partner with new organizations to achieve our collective goal of supporting children and their families. Are you interested in working with NCGH? Want to learn more about our impact? Have a childhood hunger-based project that needs funding? Please contact us. We will be in touch soon so we can work together to make an impact in your community. No Child Goes Hungry is now on Instagram! Show your support for our mission. 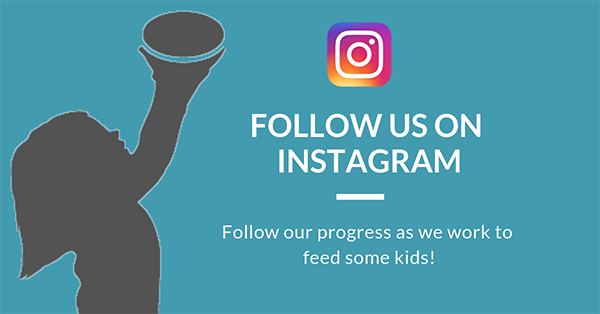 Follow us on Instagram at @letsfeedsomekids to stay up to date on our latest programs and initiatives. 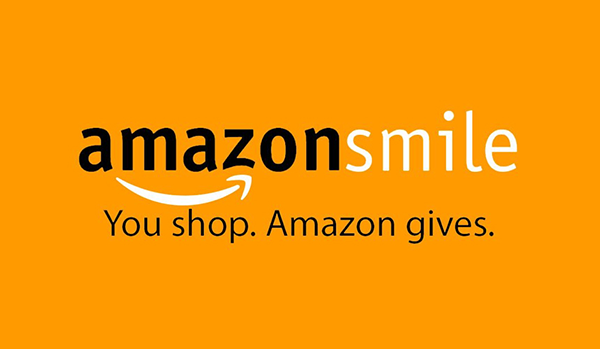 Shop at smile.amazon.com and select No Child Goes Hungry as your designated charity, and Amazon will donate a portion of the purchase price to our organization. Learn more about Amazon Smile. 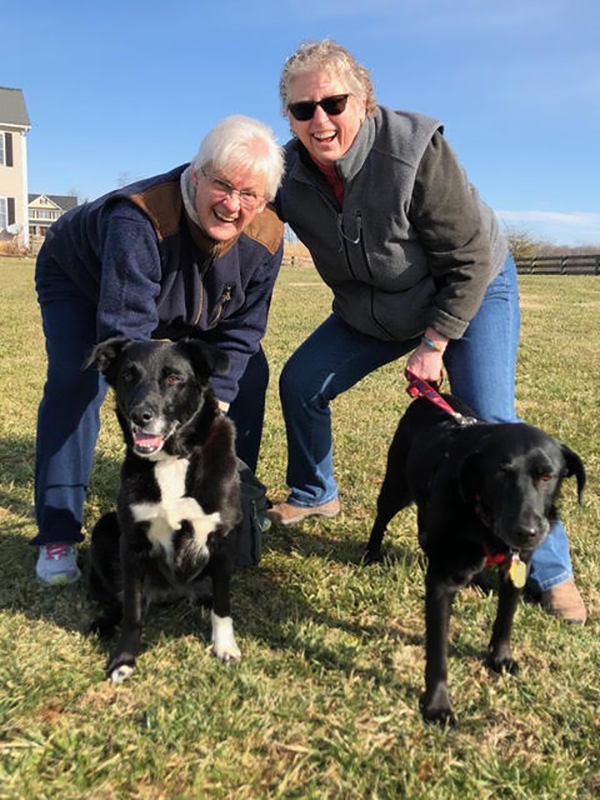 Our family received a very special Christmas gift this season, this beautiful rescue Lab, Abby. She is full of personality and is the official squirrel chaser in our house. Subscribe to get occasional email updates from NCGH.